As pet owners we understand that bringing your Pet with you on vacation to Cape May is as important as enjoying the well deserved time off from work. 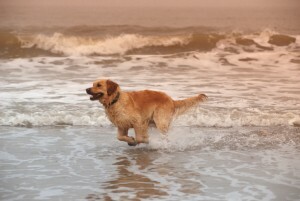 Cape May has become much more Pet Friendly with Dog and Cat Hotel and Resort Accommodations. Cape May offers Pet Friendly Restaurants to bring your well mannered Pet’s along for a lunch or breakfast, or you can bring your Pet to the Beach Shack on Beach Ave. and enjoy a cool beachfront refreshment with your dog at your side. As a special treat you can even bring your well mannered Pooch to the Hawk Haven or Cape May Vineyard and enjoy a local Cape May Glass of Wine with your Pet at your side seated in the outdoor porch area. Dog Regulations for the State of New Jersey including Cape May. New Jersey’s beaches are dog friendly for most of the year. But during the summer season, some become very dog unfriendly. Generally this time period is from May 15 through September 15, but can vary from community to community. Having your dog on the beach during the summer can result in large fines. Even trying to sneak your dog down to the water for a quick swim at dawn is not risk free. 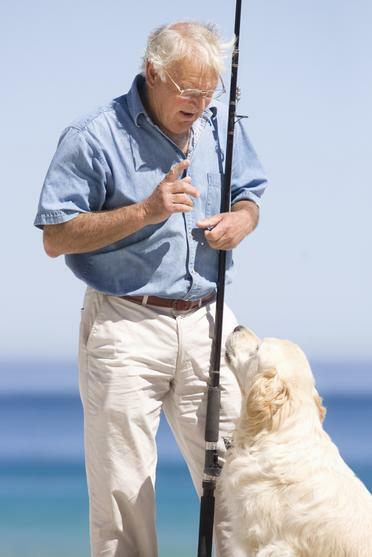 There are many people all too ready to call the authorities if they see you at any time on the beach with your dog. Police on ATV’s or the Animal Control truck will come by and issue you a ticket. Local laws change so please check. Have fun with your dog on the beach down at the shore! Dogs are never permitted on the beach from Madison Ave. to Third Ave. Dogs are permitted on the beach from Madison Ave. through Poverty Beach November 1st through March 31st and must be on a leash at all times. There is a dog park in Cape May located at 705 Lafayette Street. A pass is required for each dog. The fee is $20.00 per year or $10 per week (Sunday to Sunday). The pass requires a dog license and proof of rabies vaccination. Dogs are permitted September 15th through April 15th and must be leashed. Dogs are permitted year-round. Lower Township may be tightening regulations, so clean up after your dog so the laws do not get more restrictive. Dogs are not allowed on the beach from May 1st through October 1st. After October first dogs are permitted if leashed. Dogs are not permitted on the beach June 1 through September 30. Dogs must be leashed at all times. The good news, during the summer, dogs are permitted on the beach between 80th and 84th Street from sunrise to 9 AM and from 6:00 PM until sunset. Dogs must be leashed. That is really nice, and it is fair. It’s too bad other communities can’t or won’t provide something similar. Dogs are not permitted on the Avalon beach, boardwalk, or dunes anytime between March 1st and September 30th. Dogs are permitted on the beach From October 1 through April 30. Dogs are not permitted on the beach at anytime from May 1 through September 30th, and are required to always be on a leash 6’ or shorter. After September 30th, dogs are permitted and many people do have their dogs off lease (although technically not allowed), if they are under control and not on the beaches in the center of town (7th Street – 15th Street). During the summer, Ocean City is very dog unfriendly. It is difficult to take your dog to the beach at all. I have seen Animal Control Officers write tickets at just after sunrise. Dogs are not permitted on the boardwalk at anytime and this is enforced, especially in the center of town. Dogs are permitted on the beach when the lifeguards are not present, roughly October 1 through May 1. Dogs must be leashed at all times. No dogs are permitted on the beaches of Margate. I am not sure if this is just a summer rule or all year round. If in doubt, just head up to Ventnor or down to Longport. Dogs are not permitted on the beach during summer months. Wow, is that open ended! Dogs are permitted on the beach September 15 through Memorial Day. Dogs are not permitted on the beaches from 14th Street North south to the southernmost jetty from May 30th through September 30th. During the winter dogs are allowed provided they are on a 6’ or shorter leash. Dogs are permitted on the north beaches all year round if leashed. Fines are $100.00 and are enforced (off leash, on the south beaches during summer and not cleaning up after your dog). Dogs are permitted on the beach September 16 through May 14th. Dogs may also be off leash if they are within 100 feet of the mean high tide line, and are accompanied by and under the control of their owners. Wow, that is really nice! During the summer dogs are not allowed on the beach and this is actively enforced. The fine is $75.00 per dog. 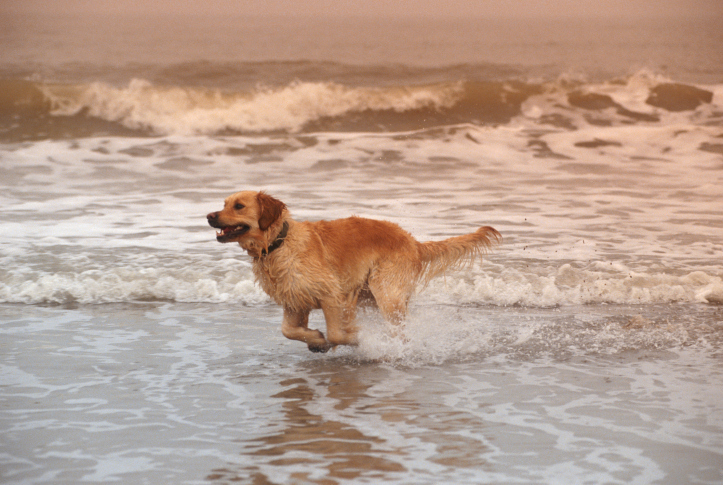 Barnegat Light allows dogs on their beaches from Oct. 1 – thru April 15. All dogs on Barnegat Light beaches must be on a leash. Their dog park is open year round located on west 10th street. Island beach State Park is a beautiful, almost 10 mile stretch of beach and dunes located just south of Seaside Heights. Dogs are permitted in the park and on the beach (except for the lifeguard swimming area during the summer season) but must be on a leash no longer than 6”. They are also not permitted on the Spizzle Creek Bird Blind Trail at any time. Fresh water is available near the swimming beach in the summer. The park does charge an entrance fee. Memorial Day through Labor Day the fee is $6.00 on weekdays and $10.00 on weekends per vehicle. During the off-season the fee is $5.00 per vehicle any day. During the summer if the park is full, they will stop letting cars in. Dogs are never permitted on the beach. This is from their Municipal Code that is different from the town’s website. Leashed dogs are permitted May 15th through October 1st between sunrise and 8AM am and 6:00 pm and sunset, except at the Lyman Street beach. From October 2 to May 14th, dogs are permitted on the beaches unleashed as long as they are in direct control of a responsible person. During the winter months dogs are permitted on the beach and must be on leash. During the summer they are not permitted on the beach. Dogs are permitted on the beach October 1st through April 30th, must be on leash, and only during the hours from 8:00 am through 3:00 pm. 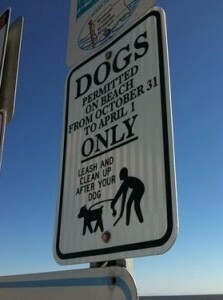 Dogs are permitted on the beach November 1st through March 31st and must be on a leash. Dogs are allowed on the beach only during the off-season, from Oct. 1 through April 30 and must be on leash. They are never permitted on the boardwalk. Dogs are allowed on the beach October 1st through May 14th and must be on a leash. Dogs are not allowed on the boardwalk at anytime. Licensed dogs are permitted on the beach, while under the control of their owners, from October 1 through April 30th, but not at any other time. Animals are not permitted on Belmar’s boardwalk at any time (except that dogs may cross the boardwalk to get access to the beach from October 1 and April 30th). Dogs are permitted on the beach from October 15 through April 15 and they may be unleashed if under the control of a responsible person. Dogs are never permitted on the boardwalk. There is a dog beach at 8th Ave. and Ocean Ave., where dogs are permitted in the early morning during the summer season. During the off season dogs are permitted there all day. 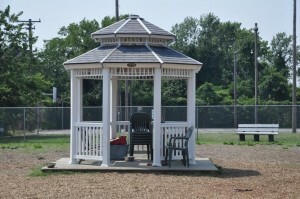 Cape May also recently finished a new Dog Park on Lafayette Ave that includes a cool gazebo resting station, and a double gate entrance to assist your dog with the park entrance. The new Dog Park is busy on summer weekends and includes a water station and toys for your dog to exercise and play fetch. 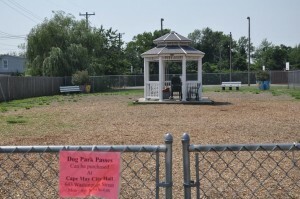 The dog park requires a weekly permit of $10 or you can pay an annual permit of $20 from Cape May City Hall. Applications and Park Tags may be obtained from the Cape May City Clerk’s Office located at 643 Washington Street in Cape May. To print the Dog Park Application Form please click here. Please keep in mind the Cape May has dog policies that you should be aware of and at all times your dog will be required to be on a leash and you must always clean up after your pet droppings in a sanitary method. South Jersey Veterinary Emergency Service is only to be used when Cape May Veterinary Hospital is closed. During normal office hours, please bring your pet to our facility. South Jersey Veterinary Emergency Service (SJVES), an affiliate of Red Bank Veterinary Hospital, is located at 535 Maple Avenue in Linwood, NJ. SJVES is a full service emergency and critical care center. The facility is staffed with highly trained emergency veterinarians and technicians, available 24 hours a day/ 7 days a week. The service offers the kind of continuous care and monitoring necessary for the critically ill patient. SJVES affords all residents of Cape May County professional patient care throughout the night when hospitalization for stabilization and/or 24-hour observation is needed. The cooperative effort between SJVES and Cape May Veterinary Hospital allows us to provide optimal veterinary care for you and your pet. Several restaurants in Cape May offer outdoor seating to accommodate you with your Dog. Our favorites include Hawk Haven Vineyards in Rio Grande on the outdoor smash pad overlooking the Vineyards. We also enjoy visiting the Red General Store in Cape May Point. This location offers a quiet residential area located across from a small park to walk your dog while sitting on a shaded outdoor deck. If you are coming by Boat to Cape May the best choices are the Lobster House outdoor seating area and many Boaters bring their Dogs to the Harbor View Marina and Restaurant offering a large outdoor deck, excellent outdoor entertainment on the water and a water bowl for your pooch. Some other Fun Dog Activities in Cape May, visit a Vineyard, a Naval Musuem or check out a local Micro Brewery. f you would like to take your Pooch for a cool beer or glass of wine in Cape May check out these famous Cape May Bars that offer outdoor seating. Take a Wine Tour with your Dog, or visit the Naval Air Station or Historic Cold Spring Village, don’t forget to visit the Cape May Brewery, a Micro Brew in Rio Grande at the airport next to the Naval Air Station. The Billmae Cottage specializes in Pet Friendlyaccommodations in Cape May click here. •White Dove Cottage 2 pet friendly suites with yard access. •Mason Cottage 2 rooms dog friendly. •Highland House All 4 rooms and 2 suites are pet friendly. •Marquis de Lafayette Hotel Pet friendly rooms on the first floor. •The Enchantras B&B 4 pet friendly suites in Wildwood. 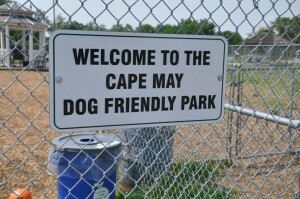 Bring Your Pooch to the Cape May Dog Friendly Park for Excercise and Play. Please View our Cape May Pet Friendly Accommodations Video here. Each of the suites of Billmae Cottage offer a parlor, one or two bedrooms, a fully equipped kitchen and full, private bath. Each suite is decorated with rustic country charm. Stay with us while enjoying the many attractions of Cape May and have a comfortable suite to return to! All dogs must be flea and tick treated. This entry was posted in Cape May Resort Blog and tagged Cape May Beach with dog, Cape may Dog Friendly BEaches, Cape May Dog Friendly Places, Cape May Pet Friendly Hotels, Cape May THings to do with your PEt, PEt friendly in Cape May NJ on May 13, 2015 by Ryan Reclaim.